I have always been a massive fan of black eyeliner in the waterline, and it's a bit of a pain when they start smudging down under your eye and it makes a black smudged mess. Not my personal favourite look. Recently I've been trying out a few different eyeliners to see which are the best at staying where they should. I have a highend option but also a drugstore one so whatever your budget, there's one for you. 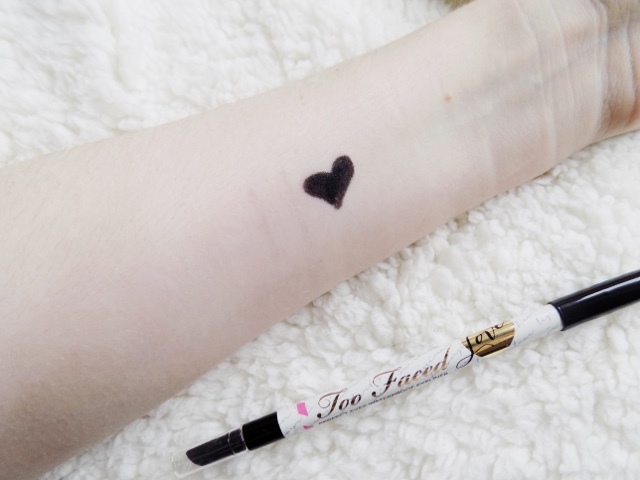 I'll start with my absolute favourite of the two, the Too Faced Perfect Eyeliner in Perfect Black. This is a gel formula, super pigmented and black and is available in 8 shades. It claims to last 8+ hours which I have to agree with and it has a smudger on the end so you can use this as a winged liner and then smudging out for a smokey look. Although it's from Too Faced it's only £13.00 which is expensive for an eyeliner but not too bad. The Barry M Bold Black Eyeliner is very similar to the above, pigmented, available in 8 shades, waterproof and is super black and pigmented. It applies smooth like a liquid with the precision of a pencil and also lasts 8+ hours which I again agree with completely. There's a couple things that are different, there's no smudger on this one which doesn't bother me in the slightest, and the price, this is only £3.99. 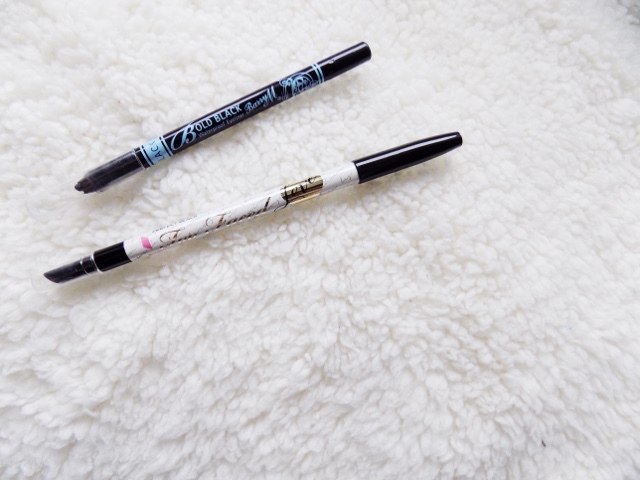 Barry M have really upped their game when it comes to their makeup, they're becoming more and more popular with many beauty bloggers including myself so if you see a Barry M stand, I highly recommend picking this eyeliner up. I have a An Intro to: Barry M coming up soon so keep an eye out for my favourites from the brand. Both eyeliners are equally the same, just different prices and packaging. I have quite a few of the Barry M eyeliner dotted around, in makeup bags, handbag, my travel makeup bag, and with my everyday makeup. It goes everywhere with me so I am never without one of these babies. 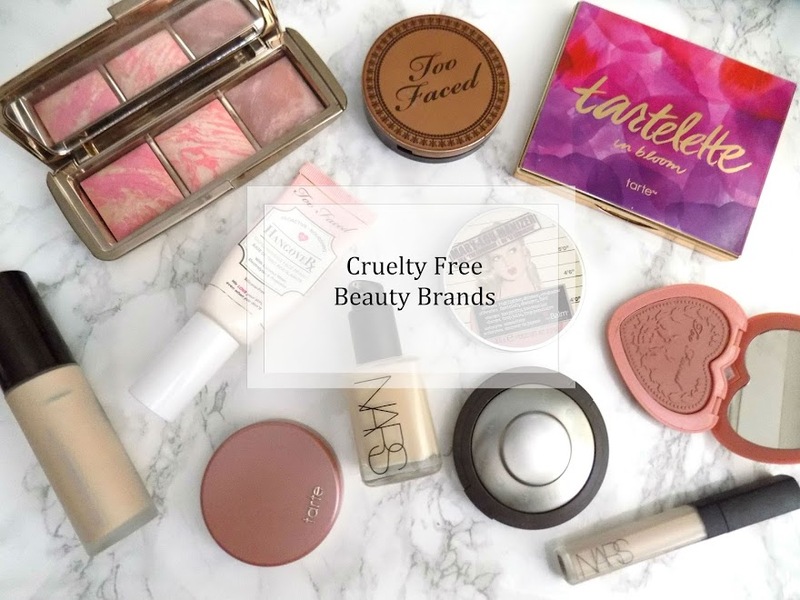 But the Too Faced one is a new favourite and I've been using it a lot, but I don't think I will repurchase as it's more expensive yet works the same as the drugstore alternative. 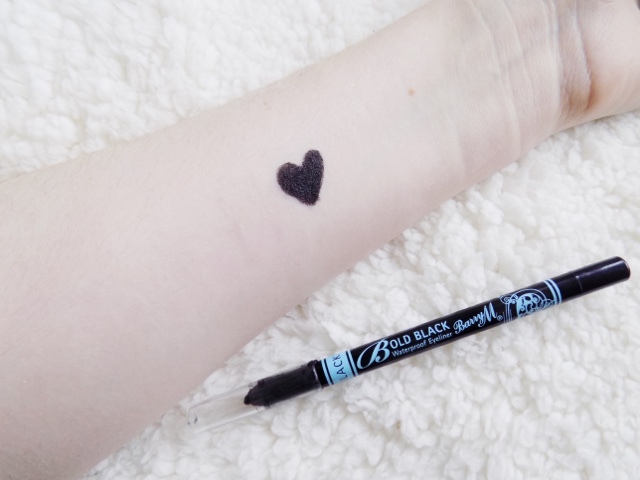 What's your favourite black eyeliner for the waterline?